On the south, a century-old hot border is ready to erupt into fire. Yugoslavia, although not a “Soviet” state, is willing to take advantage of the chaos in which the totality of Western Nations has been embroiled. Their eyes run along the Italian border and the important port of Trieste, the acquisition of which could be of immense value for its economy. The JNA (Yugoslav People’s Army) is equipped with hardware of high efficiency and it is not afraid to use it on its old enemy. Italy, even if marked by endemic inner political weaknesses, is not blind to the Yugoslavian claims and maneuvers. Its Army is not the inefficient and burdened system that collapsed in WWII. Being a member of NATO and of the EEC has brought enormous economic advantages and its Army has benefited from decades of renovation and training in Europe and in military operations abroad. Check the Armored Brigade Nation Pack: Italy – Yugoslavia product page for more details! 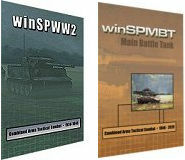 Shrapnel Games and Developer Camo Workshop announce that the 2019 winSPWW2 and winSPMBT upgrade patches are now available for download! We are bringing a storm of brand new content, revisions, and bug fixes that will leave you militarily motivated. Some enhancements are only available to Enhanced users. The 2019 winSPWW2 patch will upgrade v. 9.0 or above to v. 12.0 and the 2019 winSPMBT patch will upgrade v. 10.0 and up to v.13.0. As always, announcements first. DO NOT apply the upgrade patches while in the midst of a secure PBEM game as the game will fail. Head on over to the Shrapnel Games website and check out the press release detailing the full list of changes in these two great games! Matrix Games today announced that Command: Desert Storm, a new DLC/Standalone release for Command: Modern Air/Naval Operations, will release on March 28th. Watch the Command: Desert Storm – Release Revealed trailer HERE. Get more information about Command: Desert Storm from the games official Product Page. Independent developer and publisher Eugen Systems (R.U.S.E., Wargame series, Steel Division: Normandy 44) is excited to welcome players to phase 1 of the upcoming singleplayer/multiplayer beta for Steel Division 2 on Steam. With phase 1 scheduled to begin on March 27 for 48-hours and open to players who pre-order Steel Division 2 via Steam, Gamesplanet, or The Humble Store, beta testers can look forward to an advanced look at a variety of Steel Division 2’s game modes, including Breakthrough. This mode finds defending players holding control of the map against an attacker – and makes heavy use of the brand-new Defense Structures feature recently highlighted on Eugen Systems’ developer diary. Deploy barbed wire, trenches, gun pits, and bunkers to hold the line. Beta testers can also look forward to checking out Conquest Mode, an objective based mode that charges players with pushing the frontline of battle forward by capturing objectives across the map. Two divisions will be available to choose from for phase 1, starting with the German 5. Panzerdivision and 2nd Guards Tank Corps – with more to come in future phases. Steel Division 2 fans can also look forward to regular updates and additional 48-hour multiplayer beta phases each week. For full details on the upcoming beta phases for Steel Division 2, please head to the page on Steam. To make room for an extended beta on Steam and to allow for further development work on Steel Division 2 based on player feedback, Steel Division 2 is now scheduled to launch on May 2, 2019. Command: Desert Storm has been announced! Relive the pivotal events of the conflict that sealed the Cold War and radically changed the Middle East geopolitical landscape. The massive coalition build-up following the Iraqi invasion; The first night over Baghdad on January 17, 1991; the “do or die” strike that stopped Iraq’s chemical retaliation in the nick of time; the frustrating “Scud hunts” all over the Iraqi desert; coalition attacks on Iraq’s airfields; the annihilation of the Iraqi navy at Bubiyan, the “highway of death” during the Iraqi retreat from Kuwait, and much more. Additionally, step into the unknown as you probe the great unanswered questions of the conflict: What if Iraq had pre-empted the coalition build-up and rolled right into S.Arabia? What if Israel had retaliated for the Scud attacks against it? What if Iran or even the Soviet Union had intervened against the coalition? Command: Desert Storm is a new DLC/Standalone release for Command: Modern Air/Naval Operations, the premier game of air, naval & strategic warfare and the choice of serious hobbyists and defense professionals alike. Fourteen historical & hypothetical campaign scenarios plus a bonus contemporary standalone scenario cover the major actions that marked the conflict, allowing you to explore the events that happened – and the ones that could easily have. Get more information from the official Product Page. A standalone expansion for Command: Modern Air/Naval Operations, 2013′s Wargame of the Year: play as a single, separate game, or add it to your collection of scenarios for CMANO. Victories in Western Europe and East Asia were won through the decisive application of industrial naval power. The Atlantic convoys kept Britain supplied until overwhelming force could be applied to Fortress Europe, and American shipyards produced capital ships for the Pacific War at an unprecedented pace. Are you a savvy enough admiral to master the intricacies of naval war? Will you repeat or rewrite history? Test your seaborne skills in Hearts of Iron IV: Man the Guns, available now at major online retailers for $19.99. Watch the Hearts of Iron IV: Man the Guns – Release Trailer HERE. Man the Guns is the newest naval themed expansion to Hearts of Iron IV, the popular World War II strategy wargame from Paradox Development Studio. Man the Guns comes with an armada of improvements to the naval game, including a new ship design mode, refitting older designs, fuel considerations and strategic convoy routes. Man the Guns also improves play for major democracies like the United States, the United Kingdom and the Netherlands, with all new alternate history paths and the mobilization of the American Congress. New Alternate American History: Use the American Congress to push for reform, at the risk of plunging the nation into another civil war. New Alternate British History: Push for early decolonization of the British Empire or restore the ancient privileges of the monarchy. Admiral Traits and Skills – Tailor and level up your Admirals with new traits and skills. Shipping route controls – plot new routes for your shipping and navies by marking areas you want to avoid. As usual, the Man the Guns expansion is accompanied by a major free update that improves the game for all Hearts of Iron IV owners. This update includes fuel as a major resource and a new Rules screen that allows you to customize your World War experience. Man the Guns can be purchased from the Paradox store, Steam or other major online retailers for $19.99. 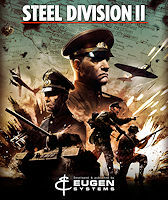 The offerings for Steel Division 2, the highly anticipated sequel to the critically acclaimed World War II real-time strategy title, Steel Division: Normandy 44, continues to grow with today’s announcement from self-publishing independent developer Eugen Systems. In addition to an epic single-player campaign set during Operation Bagration, Steel Division 2 players can also look forward to six brand-new Historical Battles with the core game. With Steel Division 2, players can look forward to a total of six extensive Historical Battles spanning a variety of significant campaigns across the frontlines. Playable solo, co-op against AI enemies, and multiplayer, including 2v1 and 3v3 scenarios, the six new Historical Battles for Steel Division 2 make the already huge real-time strategy title even bigger with this tremendous amount of content that will take players across the frontlines of war, including the Battle for Orsha, Bobr, Krupki, Pleshchenitsy, Lenina, and Naratch Lake. For full details on the upcoming Historical Battles in Steel Division 2, please visit the official page on Steam. The six extra Historical Battles for Steel Division 2 also follows recently announced news that Steam users who already own Steel Division: Normandy 44 can also expect eight exclusive divisions with over 350 extra units from the original title when Steel Division 2 launches later this year, including the Sherman Jumbo tank from the United States of America, the Churchill IV heavy infantry tank from the United Kingdom, the lend-lease Spitfire and Sherman M4A2 for France and Canada, and many more. For a complete list of divisions and units, please visit the official Steel Division 2 page on Steam. In addition, players who pre-order any edition of Steel Division 2 can also expect guaranteed access to the game’s Beta phase. Scheduled to start this quarter, the Steel Division 2 beta will offer players exclusive access to an early build of the game ahead of its 2019 launch. Moreover, players who pre-order the Commander Deluxe Edition, General Deluxe Edition, or Total Conflict Edition will also benefit from 48-hours of early access to the game ahead of the worldwide launch for Steel Division 2. Set during Operation Bagration on the Eastern Front in the summer of 1944, Steel Division 2 pushes the limits of the World War II tactical experience, delivering new 1:1 scale Dynamic Strategic Campaigns. Command entire armies during Operation Bagration, covering the Soviet counter-attack against Axis forces in Byelorussia. Battle in the multiple skirmish modes on 25 maps and customize your battlegroups in the brand-new deck system, allowing for an unprecedented level of customization. Matrix Games has announced that, after several months of hard work, Close Combat: The Bloody First is ready to go officially in Beta! Developers have put a lot of effort into creating one of the most realistic tactical wargames ever, improving and refining the overall gameplay experience. Now it’s your turn to duty! If you think you have what it takes, enlist here and help us in giving the final touches to the game! If you have applied in precedence for the Alpha, you don’t have to apply a second time as you have been automatically added to the Beta. Close Combat: The Bloody First is the latest release in the critically-acclaimed Close Combat series, and the first using the new 3D Archon engine. With this Close Combat: The Bloody First combines classic Close Combat tactical gameplay with battles fought across a wide variety of diverse 3D landscapes including craggy ridgelines, narrow valleys and dense villages. The switch to 3D also allows an increase in the level of detail (e.g. the specific types of ammunition used by each weapon are now modeled) with more realistic movement and projectile physics. Following the career of the famed US 1stInfantry Division (forever known as ‘The Big Red One’) Close Combat: The Bloody First visits the battlefields of Tunisia and Sicily for the first time, as well as covering the Normandy campaign. With 3 theatres to cover Close Combat: The Bloody First places the focus firmly on the tactical level putting you in command of a 1st Infantry Division company (sometimes reinforced … and sometimes not! ), leading your men through a series of linked operations and battles from Longstop Hill in Tunisia to Mortain in Normandy. You’ll have to look after your men, work out the best combination of fire and movement, know when they need bolstering with armoured vehicles and decide when to call in support from artillery and aircraft. Kalypso Media’s hit World War II real time tactics game, Sudden Strike 4, rages into the Pacific with The Pacific War DLC pack, is now available on GOG.com and Steam for PC, Linux, Mac, PlayStation®4 and Xbox One, priced at £14.99 / €19.99 / $19.99. Along with introducing a new theatre of the conflict, The Pacific War DLC features ten missions set across two campaigns. Players will have access six new commanders including the Imperial Japanese Army’s Admiral Soemu Toyoda, the Southern Expeditionary Army Group’s Hisaichi, Legendary five-star US general Douglas MacArthur and Chief of Staff Richard J. Marshall. Also included in The Pacific War DLC are 51 new vehicles, including amphibious vehicles for land and sea combat, massive controllable aircraft carriers to rule the skies, advanced air combat planes for vicious dog fights and devastating flamethrowers to eliminate ground combatants in spectacular fashion. A new gameplay trailer is available showing the DLC in action. In addition, update 1.15 has also been released today for the main game, which introduces three new bonus missions completely free of charge. Read the full PC and console changelogs for all the details.